Listeners who come to traditional African music from the American variety will find it a refreshingly organic experience. The sonorities reflect a variety of instruments both ancient and modern, including drums and percussion instruments (of course) but also extending far beyond to strings, flutes, and a wide range of plucked or hammered metal and wood instruments. The mbira, from the latter category, is this month's subject. The mbira, constructed by attaching a series of tuned metal strips to a wooden platform, is best known in Western circles as the thumb piano. While that term may help us to understand the construction of the instrument, it does not do the mbira justice. The mbira is more a medium than a piece of hardware. In the Shona tradition of Zimbabwe, mbira musicians represent the wise men of the culture; their performance often serves as a catalyst for spiritual awakening. They usually perform in groups that include at least two mbiras, a hosho (shaker), and at least one singer. Instrumentalists most commonly also sing. In a large ceremonial gathering called a bira, musicians provide a framework for group participationincluding dance and song, but also a passage into trance. 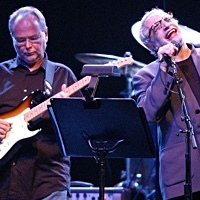 At some point, performers may put down their instruments and step forward into a sort of awakening. Younger musicians refer to the high-level performance of ancient Shona poetry as "deep Shona," a language that only elders can truly understand. The four mbira discs under consideration this month include three traditional recordings and one modern interpretation. The first three represent a portion of the traditional African material recently released by Nonesuch as part of its Explorer Series (which in time will be huge). These recordings originally appeared decades ago, and have just been revised (remastered and beautifully packaged) for reissue. The final disc, by Stella Chiweshe, is an interesting cross-cultural fusion of Shona mbira music with other styles. Look here for prominent use of the marimba, an instrument which originated in Zimbabwe. Of the three Nonesuch mbira records, The African Mbira offers the greatest sense of continuity. 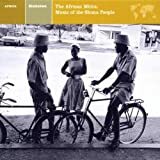 That's because the entire recording was made by the same group of musicians: Dumisani Maraire (the leader) on mbira and vocals, Nkosana Maraire on hosho (shaker) and vocals, and Shukuti Chiora on vocals. 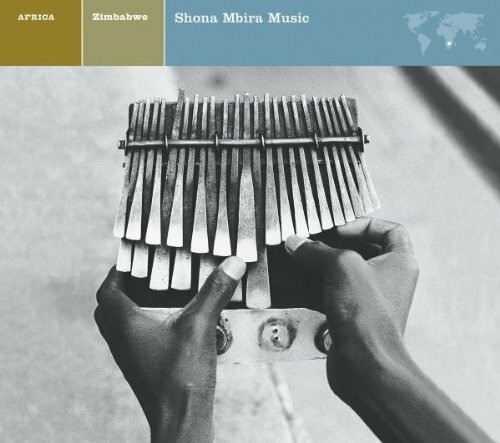 The single mbira voice is somewhat unusual in Shona music, since two mbiras usually duet in performance. But that leaves more space for the hosho player and vocalists to fill with color and accent. Almost no mbira music features drums, and this recording is no exception. While one might expect the instruments to play a lead role in Shona music, reality often turns out quite the opposite. They provide a framework for vocal performance by the leader and his accompanists, lending both a strong sense of time (through the prominent pulse of the hosho and the polyrhythmic energy of the mbira) and melody (a parameter specified by each tune and developed over time on the mbira). Each song is rooted in repertoire, which in total extends to over a hundred pieces. The formal lyrics of a given piece are often quite vague, from a sentence to a phrase to a single word. Dumisani fills in the rest as he goes. Like a blues man, Dumisani relates a mood, accompanying himself on the mbira as he goes. Vocal perfection in our usual sense is irrelevant; emotional transparency and spirituality come first. The subjects relate to sorrow, endurance, respect, and praise. And like the blues man, Dumisani does not travel far from main themes. 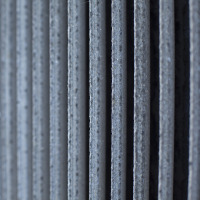 Repetition exists everywhere, at times becoming the primary thematic figure. While the words here may be unfamiliar to American audiences, the liner notes do an excellent job of relating central ideas. Dumisani's tragic passing in 1999 makes this record key, since it documents his distinctive style.